When you install Microsoft Windows on your fresh PC, you are actually adding something non-essential to the systems. There are findings that many services are there in Windows, which are not essential for PC functioning. 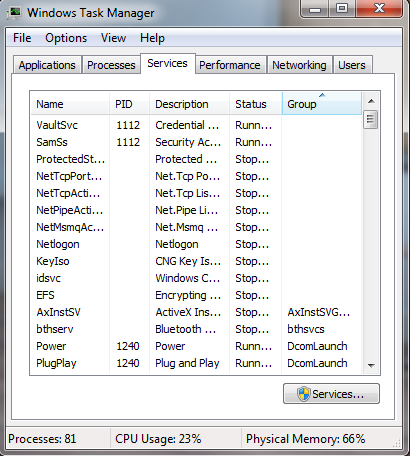 Revoking of these services could effectively fix slow-down issues in your PC. Once these services are stopped you can get a noticeable speed-up in PC. Always be cautioned when revoking services because a bad action may harm your PC. If the booting process of your PC is taking a long time then unnecessary startup programs may be the reason for issue. These programs will start working once Windows is loaded, which means that more time will be taken to make your Desktop ready to go. You can control these startup applications in an in-built editor of Microsoft Windows. For doing that type “msconfig” in the start menu and hit Enter. Now select the Startup section in the appearing window, there you will find all the startup applications. 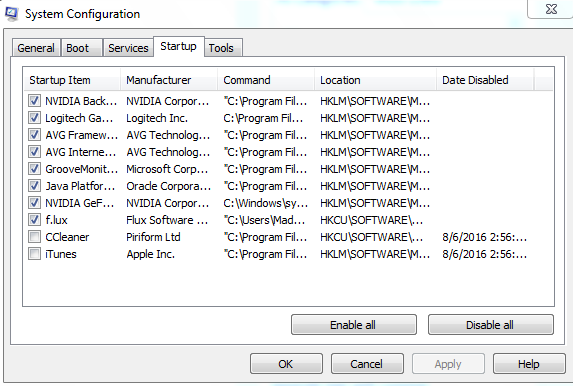 You can disable some of the unwanted program which you wouldn’t need during the startup. By this your booting speed increasing accordingly. We advise you to use reliable and powerful Antivirus software because slowing down issues can be caused by malware attacks as well. For example , some malwares like keylogger if ejected in your PC will consume memory and speed of PC plus once the system is connected to internet it will start sending sensitive data such as passwords via internet. Such malwares will cause a slow-down in your PC as well. 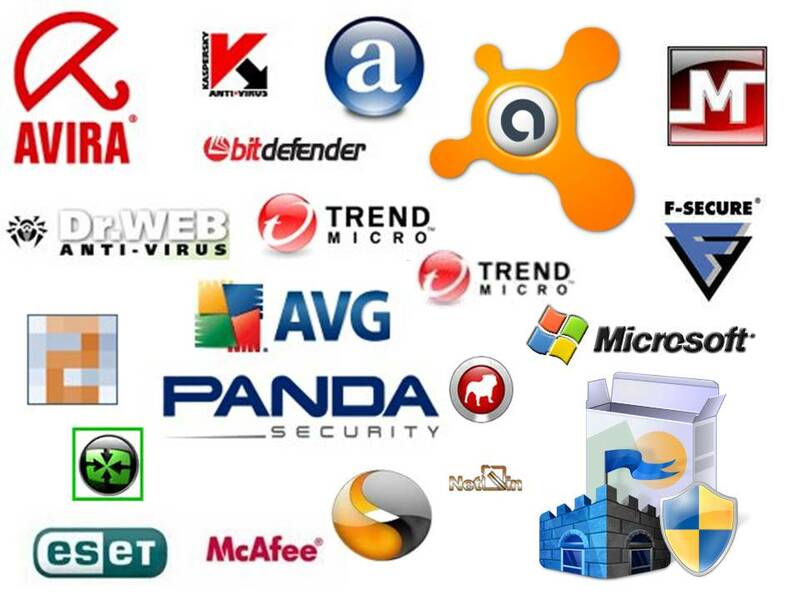 So it is advised to use a reliable Antivirus for frequent scanning purposes. If you are using your PC for virtualization purposes by means of VMware or VirtualBox or video editing, it is sure that your PC requires more memory than usual. However you will face a major slow down when you use a normal 2 GB RAM for this kind of stuff which will majorly effect all other programs running in your PC. 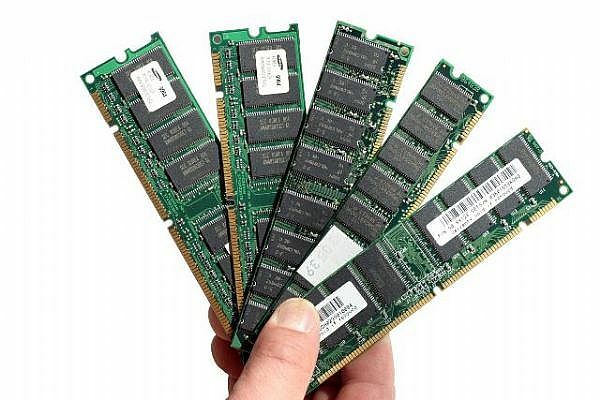 It is advised to upgrade your RAM after checking your usage via Windows’s own Resource Monitor. 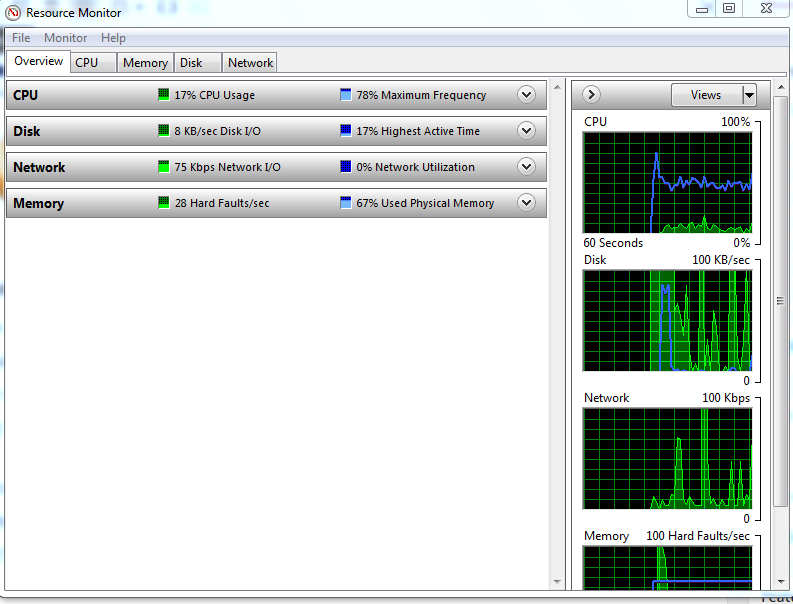 You can search for Resource Monitor in Taskbar and know how memory is used up. 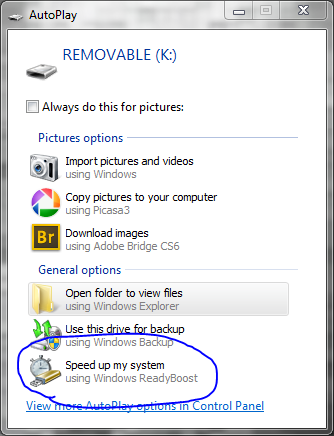 You can use ReadyBoost in Windows 7 if you are not able to upgrade to a higher RAM. If you are using a traditional Hard Drive for storing data in PC, it will not help you in attaining speed. If your current Hard Drive is old then more problems will gradually arise. You can use a SSD (Solid State Drive) for getting more speed than when you use a normal HDD. Solid State Drives are less affected by shakes and physical damages as well. Though SSDs are expensive than HDDs, but they are the best when it comes to performance and speed. In case if you cannot afford Solid State Drives then you can use Windows 7 in-built feature called ReadyBoost, which can use your removable storage devices for speeding up your Windows. That is you can use your pen-drive to boost your computer performance (not much well, but still satisfied). A minimum storage space of 256 MB with 64 KB free space is required for ReadyBoost. In the problems of less memory problems, ReadyBoost is much effective. Disk Defragmentation is the process of merging the fragmented files in your traditional Hard Drive. Windows has an in-built tool for defragmentation. 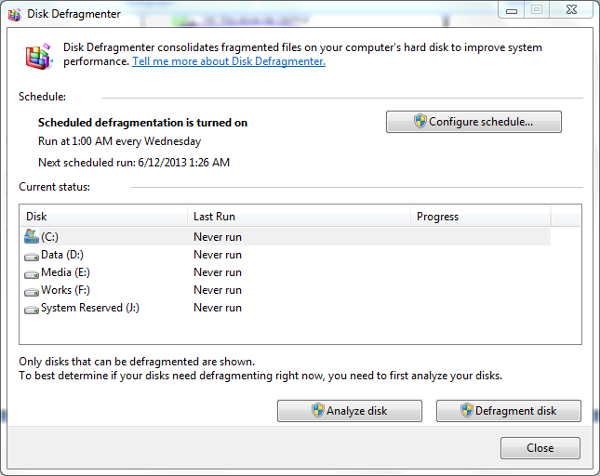 You can use disk defragmentation in Windows 7 running on traditional HDDs in order to get more speed and performance. No major effect will be there if you are using SSDs. It is good to be up-to-date with Windows. Microsoft releases timely updates for your Windows powered computer. You can keep your PC updated because you will get essential boosts in speed and performance. However you should have a genuine version of Windows and a powerful internet connection for updates. Some problems in Hardware can also affect your performance as PC working is also connected to hardware. More often keep cleaning your hard drive especially after time-consuming works. Sometime if you use maintenance tools such as CCleaner, Window Washer etc will help you boost your PC’s performance . These tools will help you in getting rid of temporary files and cache files, and hence speeding up PC.